Syrian media reports IAF fighter jets hit two military targets in Lebanon border region, in first reported strike since Russia's deployment. Syrian media outlets reported on Saturday that Israel Air Force (IAF) fighter jets struck two targets in the country on Friday night, around 11 p.m. The strikes targeted military targets of President Bashar al-Assad's regime and the Iranian terror proxy Hezbollah, and both took place in the mountainous Qalamoun region on the border with Lebanon, according to the sources cited by Walla. Sources in the region, which is a key transfer point for arms moving between Syria and Lebanon, said that the strikes targeted a unit positioned in the area of the village Ras al-Ein, as well as an army base at the edges of the village Al-Qutayfah. According to the sources, the Israeli jets arrived in the region via Lebanon; it remains unknown if there were any casualties in the alleged strikes. Assad's regime and its affiliated media outlets have yet to address the reports. There have been reports in the past of Israeli airstrikes in the region, with the goal commonly being to prevent the transfer of advanced weapons into the hands of Hezbollah on Israel's northern border. 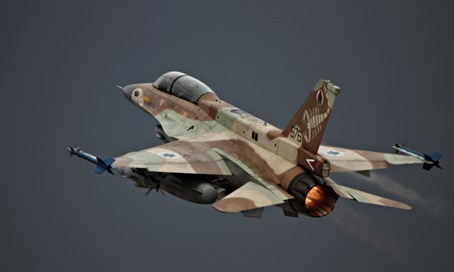 The report is the first such report of an Israeli strike since Russia began its direct military intervention to prop up Assad just several weeks ago. Israel's security system has not addressed the reports. Russia recently said it is coordinating its actions in Syria with Israel so as to avoid accidental clashes.